Simulation enables scientific and medical community to identify innovative procedures to improve treatment in faster and more focused ways. At the CES conference in Las Vegas, Arutz Sheva met The living heart project. The Living Heart Project simulates a human heart for personalized health and medical research, including its extension to other parts of the body. 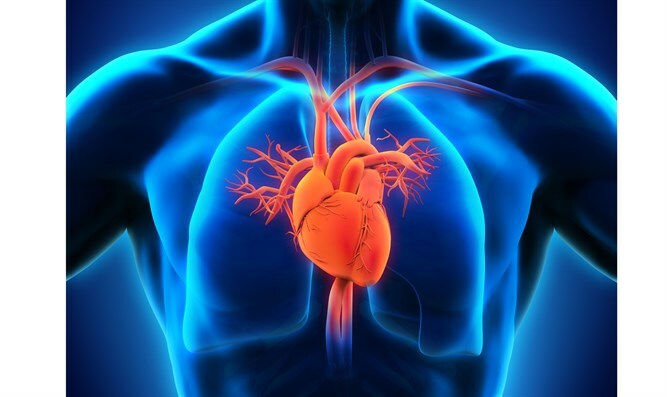 The Living Heart Project is driven by a growing ecosystem that is fueling the collaborative development of validated, commercially available heart models and exploring novel digital therapies. The Living Heart Project signed a five-year collaborative research agreement with the United States Food and Drug Administration (FDA). Together with the Project participants, testing paradigms beginning with the insertion, placement and performance of pacemaker leads and other cardiovascular devices will be evaluated, bringing the Living Heart Project closer to providing personalized, interventional cardiac-patient care. Who are the Israelis that participating in The Living Heart Project? Prof. Jacob Bortman, Department of Mechanical Engineering, Ben- Gurion University of the Negev, Prof. Rami Haj-Ali, school of Engineering, Tel-Aviv University and Dr. Gil Marom, School of Mechanical Engineering, Tel-Aviv University. "Dassault Systèms", the 3DEXPERIENCE Company, provides business and people with virtual universes to imagine sustainable innovations. Its world-leading solutions transform the way products are designed, produced, and supported. Dassault Systèmes’ collaborative solutions foster social innovation, expanding possibilities for the virtual world to improve the real world. The group brings value to over 220,000 customers of all sizes, in all industries, in more than 140 countries.